This worked on April 11, 2019. AliExpress was founded in 1999 in China. On their extensive website, you’ll find an incredibly wide variety of consumer goods. AliExpress ships to more than 200 countries around the world. Part of their popularity is due to their fantastic wholesale prices on many items. The website is part of Alibaba.com. Shopping at AliExpress gives you access to over 5,900 products from over 44 different industries. 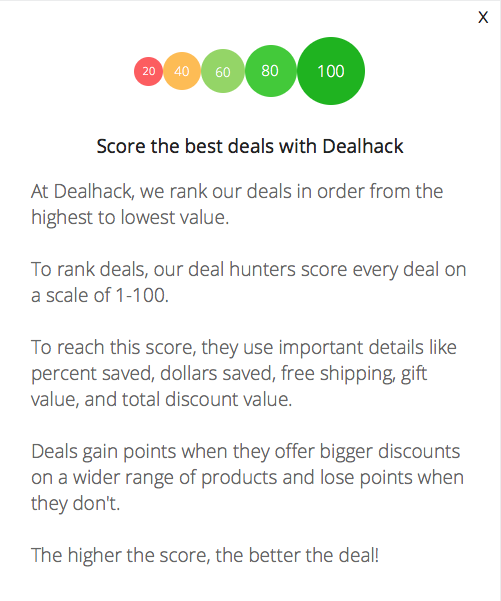 Here at Dealhack, we’ve always got the latest coupons for AliExpress. We work closely with the discount retail website to bring all of their latest deals and special offers to you every day. If you want to learn more about AliExpress and what they have to offer on their site, continue reading below. Product categories that you can shop for at AliExpress include electronics, apparel, accessories, home decorations, bags and shoes, jewelry, automotive products, beauty products, toys, kids, baby products, sporting goods, and entertainment products. Other products categories that you can buy include electrical equipment and supplies, electronic components and supplies, furniture, home appliances, home improvement materials, industry supplies, lighting, and luggage. They also offer electronics like phones, computer parts, and network equipment. AliExpress has a fantastic mobile app that allows you to shop on-the-go. With each purchase, you can earn coupons to use when shopping in the future. Once you’re in the app, you can search products by categories, brands or special offers. You can shop with confidence knowing that AliExpress offers protection for buyers. They will not pay a seller until the buyer confirms that the item has been received in satisfactory condition. They also offer a full refund for items that aren’t delivered on time. How does that sound for customer satisfaction? You can stay connected with AliExpress and stay up to date with their fantastic deals and seasonal offers by following them on Facebook. Find great inspiration for items for your home or health & beauty tips by liking and following their account. To connect with a customer service representative, dial 1-888-985-1688 or use their help page. Shop in the AliExpress SuperDeals section to score fantastic savings. You’ll receive a full refund if you don’t receive your item in the promised delivery time. Sellers may offer additional protection including longer warranty protection, free returns, and money-back guarantees. Visit the AliExpress Best Selling page to see today’s most popular products. Worried about products falling short of their description? You’ll receive a full refund if the product differs from the seller’s description. AliExpress offers fantastic Black Friday and Cyber Monday deals every year. Download the AliExpress app for iPhone, iPad, or Android to shop anywhere, anytime. What is Today's Best AliExpress Coupon? Currently, the best AliExpress coupon is 'Fast Shipping- Direct from USA- Limited Deal'. There is no code required to claim this offer. Most items at AliExpress qualify for free shipping. Upon checkout, you will be redirected to the suppliers website for additional shipping information. If you are not satisfied with your order, most items can be returned to the supplier. The shipping costs for the return is the responsibility of the buyer.